Comfort before, during and after training is key so wear these Kooga Woven Track Pants. 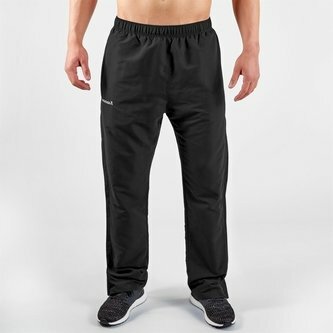 These Kooga track pants come in black with the logo embroidered on the right leg. With an elasticated waistband an internal drawcord these pants are sure to have your desire fit. With side seam pockets at the waist for storing valuables these pants are perfect wear for most occasions.